Video editors who are out and about doing their thing know that having fast storage is vital to being able to get their work done. Dell currently makes a portable Thunderbolt 3 SSD, and it’s super fast. Right now, it’s super cheap, too. 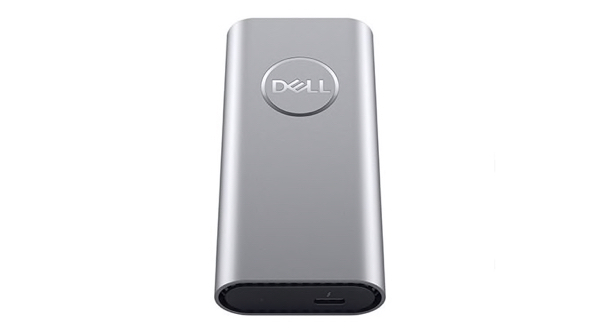 The Dell 500GB Portable Thunderbolt 3 External Solid State Drive is apparently capable of transfer speeds of up to 2800Mbps, which is pretty fast no matter how you look at it. That makes it perfect for use as a scratch drive when videographers are out in the field, and because it’s made of metal and is super portable, you shouldn’t need to worry about throwing this thing in a bag, either. Normally you’d expect to pay anything up to $470 for this drive, although it normally retails for closer to $300. Right now, you can pay just $235 for a super fast SSD of your very own. That’s a flat out 50% discount on a very expensive drive. What world are we living in? Being bus powered, this drive won’t need any extra cables or plugs in order to work, which is a big deal if you are in the middle of nowhere getting on with creating your next big masterpiece. It’s great even if you’re sat at your desk, too, because nobody likes to have cables everywhere, right? This drive is well worth checking out if you need fast, sturdy storage for any reason and it even comes with its own Thunderbolt 3 cable in the box. We all know that they aren’t cheap things to pick up, either. Please do note that there is no discount code to play around here. It’s a flat out price drop which probably won’t last long given that this deal is discounted by 50%. Make your move fast if you want to be the owner of an ultra-speedy external storage drive.